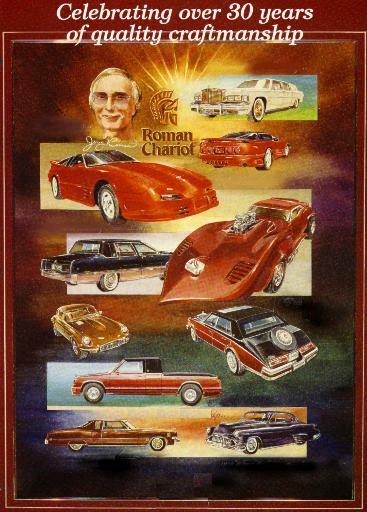 When I started Roman Chariot, it was my belief to service our customers not only with the very best in materials, but also with the very finest workmanship. I work with craftsmen that take great pride in their work. These trained specialists have come to believe in the same high standards and quality control that established my reputation back in 1961. That philosophy still holds true today with the Premier Customizing Group. There is no substitute for the best. You are special and unique. Your car is an extension of who you are and we can help reflect your personality through its appearance. 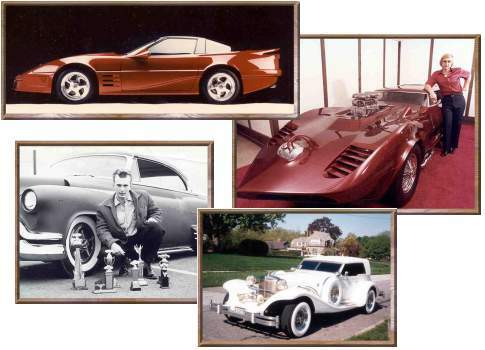 Whether you are sporty, classic, modern or wish the look of luxury and elegance, Jerry Roman knows how to add just the right touch to produce the effect you want. There are many features that can be accessorized to the exterior, as well as the interior, at a price to fit your budget. If you're searching for something special that allows you to express yourself, why not let the look of your car show who you are and who you've become. Give me a call.